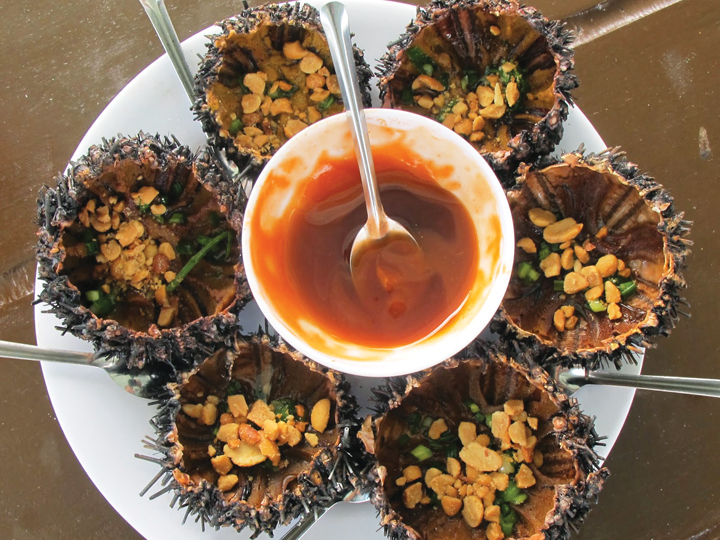 Looking like a brown coconut after its green skin has been taken off, sea urchin is the weirdest yet also the most stunning shell you should try in Phu Quoc. Nhum can be eaten raw or well-cooked, both of which are nutritious and good for your health. After nhum is horizontally cut, you can find the cream cheese-like meat and the urchin’s eggs, which are sweet and fat. Sea urchin is best served with some squeezes of lime juice and dipped into wasabi sauce. Nothing can beat the fresh and sweet flavor of nhum combined with the sour of lime and the strong taste of wasabi sauce. Where to go for sea urchin? Unlike other seafood, which can easily be caught with a large quantity, abalone is not only extremely expensive but also rare. 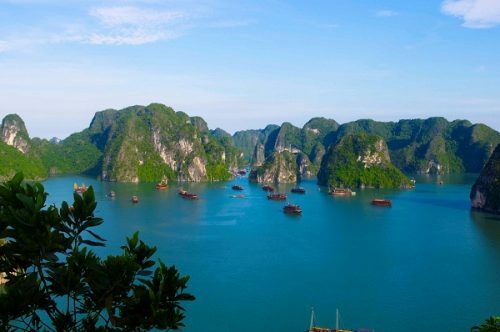 Therefore, even the rich cannot have a chance to enjoy Phu Quoc’s abalone, which is famous for its chewiness, crunchiness and really attractive scent. In Phu Quoc, they serve two types of dish cooked from abalone: fresh abalone and dried abalone, which both are really nutritious: lower body temperature, good for kidney, anti-asthenia, etc. Where to go for grilled abalone? 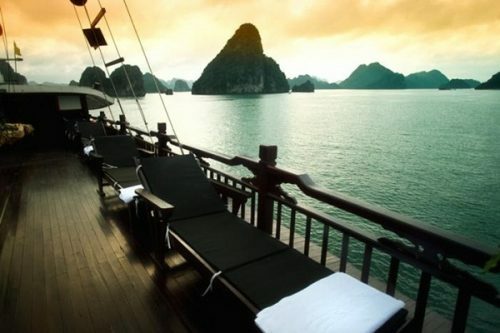 All street food stalls and luxury restaurants in Phu Quoc. The egg squids, whose sizes is an adult’s thumb with a belly full of eggs, is from February to May of the Lunar year, so plan your trip to Phu Quoc at this time to have a chance to sample one of the riches Phu Quoc’s sea dishes. No matter which way squids are cooked: boiled, steamed, porridge, grilled or fried, you still have the squids at its most delightful taste. The process to make the egg squid is not really complicated. Firstly, squid need washing. After that, they will be well seasoned with cooking oil and chili salt for 15 minutes to absorb the seasoning. Finally, they are grilled on the firing charcoal until the meat turns brown. The egg squids are ready when you can feel the harmonious smell of a fresh squids and chilies. How to enjoy this dish? Just add some herbs and dip the squids in the special sauce served with this. 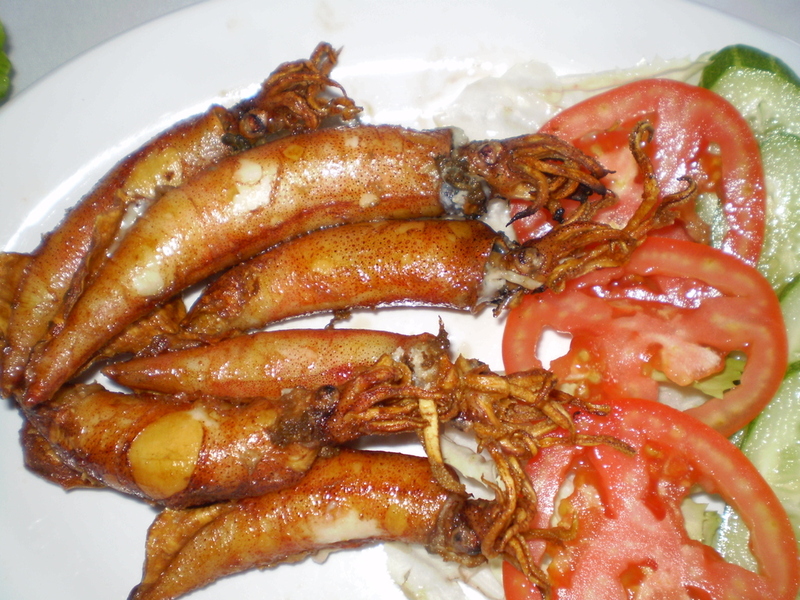 Where to go for egg squids in Phu Quoc? Unlike other seafood, the delightful tuna fish rolls soup cake, which is sold every night on almost every street food in Phu Quoc, is where you enjoy seafood with rice cakes. 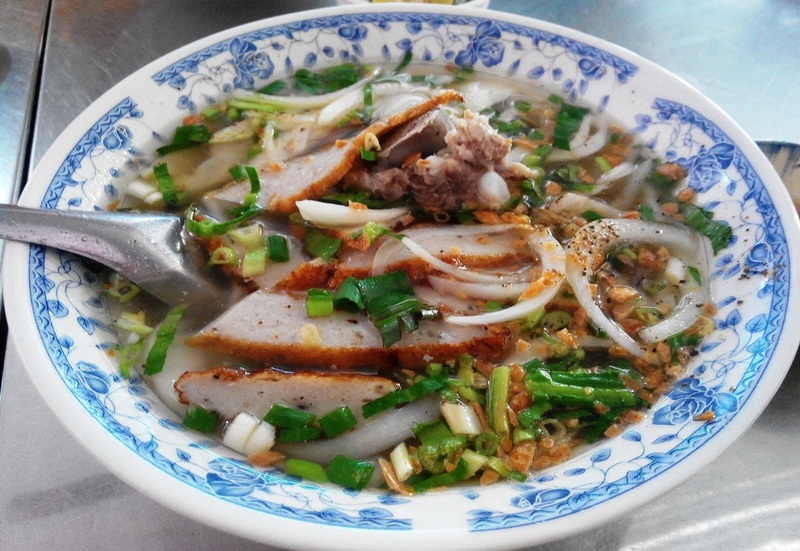 Only the bowl of soup cake cooked with nước mắm Phú Quốc (Phu Quoc’s fish sauce) is the most delicious one. Having a bowl of this soup, you can find the soft and chewy rice cakes and the fresh flavor of tuna fish. The boiled fish, the deep-fried fish fillets and the fish ball are three kinds of tuna fish that can be found in a same bowl. 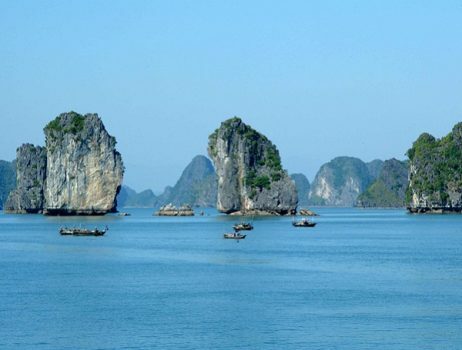 Phu Quoc should be the best place to have a bowl of soup cake in Vietnam. Where to go for tuna fish rolls soup cake?